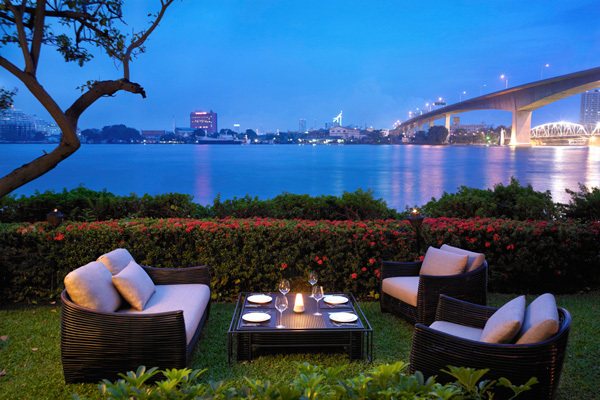 Anantara Bangkok Riverside Resort & Spa is taking dining experiences to exciting new levels, with both the Pacific Rim restaurant Trader Vic’s and the Japanese steakhouse Benihana reopening with dynamic design enhancements and fresh culinary highlights. Trader Vic’s unique Pacific Rim tastes and beloved Sunday Brunch are returning with three lifestyle zones. Diners will watch river life unfold from the expanded Mai Tai Bar, where an extended Mai Tai cocktail collection is to be accompanied by brand new Martini Tikinis cocktails. For dining, in addition to the private tropical garden, a face lift to the restaurant’s vibrant Polynesian décor will heighten the destination ambience, and the large dining room will have division options for private parties. An improved bar snack selection will vie for attention with the main restaurant’s revival of classic dishes, the personalized touch of dishes and cocktails prepared table-side, as well as Wine Guru services. After dinner at the new outdoor lounge, guests will be treated to a fantastic variety of live music and eclectic DJ sounds, thanks to a new indoor and outdoor sound system and performance stage. Beyond the signature evening attractions, Sundays will continue to unfold in a leisurely brunch of the finest international cuisine. While Trader Vic’s exciting new image, flavors and sounds will be matched as always by the warm hospitality of a dynamic and creative team, culminating in the ultimate Pacific Rim experience. The award winning Japanese steakhouse Benihana is re-launching its unique “eatertainment” concept with an impressive redesign and revised menus to re-energize experiences for family and friends to share. 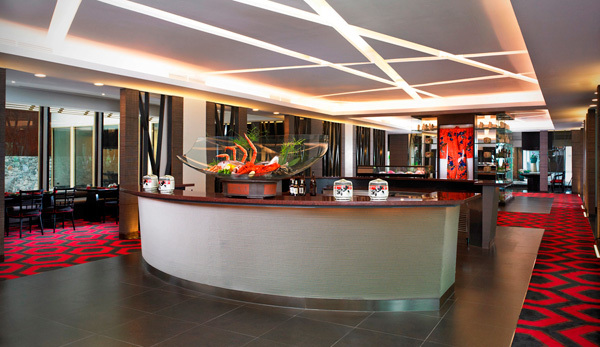 Revamped in contemporary Japanese style, Benihana’s modernized image is inspired by a bold red and black color scheme, striking destination features, confident textures and imagery to convey the restaurant’s dramatic simplicity. For instance a central sake shack encasing a traditional Japanese dress will also display an extensive sake selection, to be expertly blended into inventive cocktails. A seafood counter will showcase the ocean’s bounty for the Kabuki dining concept, for which a new sushi bar will serve upgraded sushi and sashimi delicacies, as well as a brand new raw seafood menu with a unique Japanese twist. For the Teppanyaki highlight, guests can look forward to theatrical cooking performances of artful juggling precision before their very eyes and the temptations of a thoughtfully developed menu, with an increased number of private rooms hosting exclusive celebrations. See, feel, hear and taste the difference at Trader Vic’s and Benihana from now onwards. For more information or reservations, please call +66 (0) 2476 0022 Ext. 1416.